Google is testing a new visual product search in image search results, adding a new similar items carousel based on the products that were seen in the images for the image search. 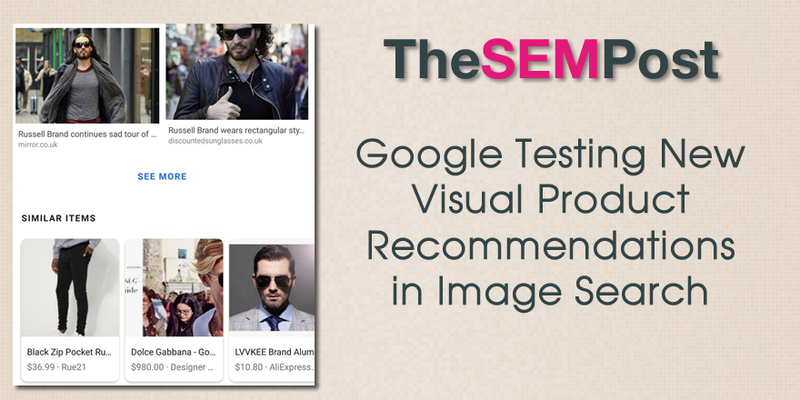 In this test, instead of automatically loading more images, as usually happens when you scroll down, it instead adds a button to view more images, but then adds a product carousel of similar products that were seen in the images from the image search. Heather Physioc spotted the test. It does seem to be picking out the images visually. In this example, she notes that Geddy Lee is wearing glasses now more closely associated with Harry Potter, and one of the image search recommends is for Harry Potter glasses. 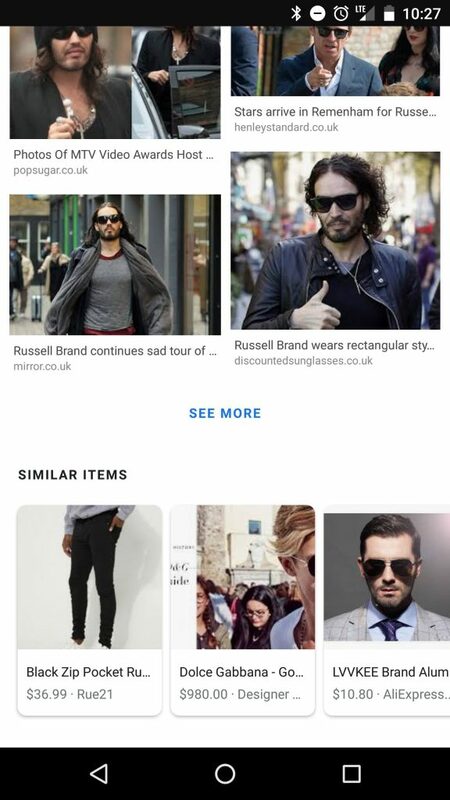 This seems to be a spinoff from a couple of previous image search additions – the Shop the Look that AdWords launched a couple of years ago, and the suggested items when looking at a specific image in image search. 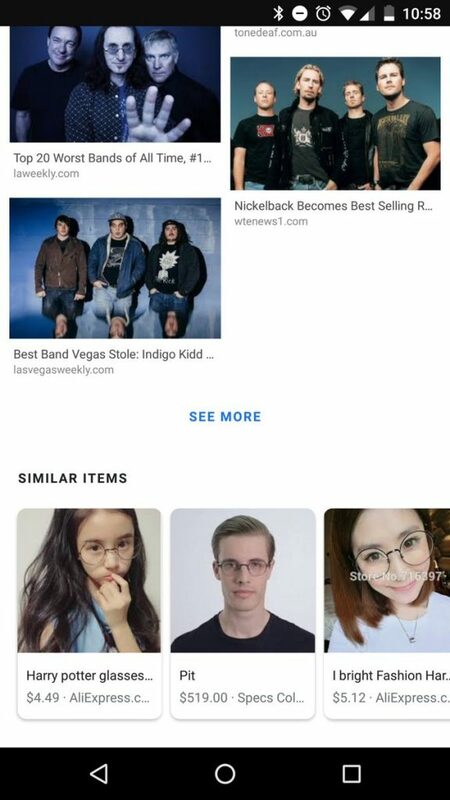 Shop the Look was intended to showcase fashion and other items shown in image search by adding related Product Listing Ads. This does seem to be a test, as I was unable to replicate it. I was seeing the infinite scroll version of image search instead.